The Spirits Tavern in Dahlonega, Georgia had been seeing a decline in patrons. 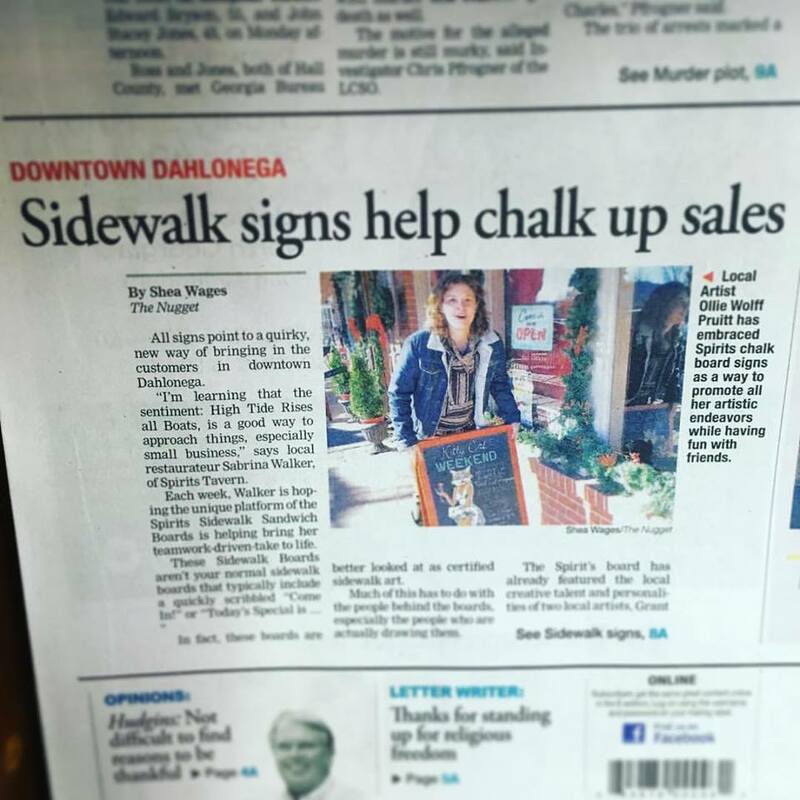 That’s when owner Sabrina Walker had the idea to recruit local artists to design chalk signs for her business. She managed to get a friend of hers, Ollie Wolff Pruitt, aka littlewolff, to take on the project. For almost a year now Ollie has been drawing sidewalk chalk signs for the Spirits Tavern. Her designs were not only captivating, but they also managed to increase sales. It wasn’t too much longer before they even started making headlines in the local newspaper. From cute little drawings of various characters to catchy sayings, these beautiful signs have made many passing people stop to take a look. Both Sabrina and Ollie agree that the local response to the chalk signs has been overwhelmingly positive. Many people stop and take pictures of the signs, with some coming in simply because the signs made them laugh.